Vatroslav Suvala, AKA Suki FPV, is Team Armattan's top freestyle pilots. His smoothness, proximity awareness in flight and his mind boggling moves are a trademark of his flying style and skills. Here is Suki's Channel on YouTube. There are many excellent pilots these days. Some are well known, while others, sometimes better pilots, are in the dark; The underdogs. Suki FPV is a good example of that. Despite being prolific on YouTube, and of course, despite being a world class pilot, he is still relatively unknown. We hope to change that. We truly feel that there are many awesome pilots who are not well-recognized in the FPV community, and some of them are incredibly good. Suki FPV is one of these guys, and he's one of the biggest underdogs in the hobby today. Not to mention that he has not been flying for all that long. He is just getting warmed up now, and we are honored to have first row seats in 2017 because he will only be getting better. Suki doesn't Vlog much. That's because he is busy having fun flying :) Subscribe to his channel, and you'll be blown away. What is different about the frame? The frame is almost identical apart from the different arm profile. It is also pink, Suki's color of choice. Each frame has also been blessed, one at the time, by famous Croatian monks, where Suki hails from. The third and final Chameleon innovation (that we will explore here) is the VTX mount on the rear of the bus. While it is outwardly a solid point to mount your SMA adapter, it has a couple secret functions as well. 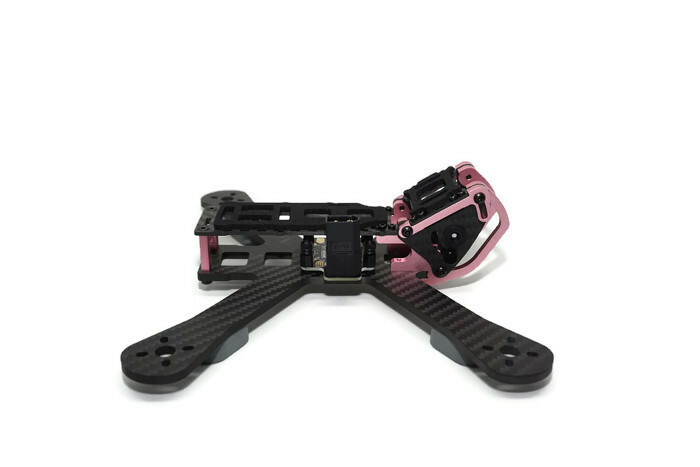 Cut into the carbon fiber top-plate are a set of holes that line up above where you will mount your VTX. These were carefully measured to align with the screens, dip-switches, and buttons of many popular transmitters on the market today (Hawkeye, Aomway, etc). We think changing your channel at the field should be as quick and easy as changing your camera angle. This helps us achieve that goal. The other secret is the little bar next to the SMA hole. This is a diversity receiver mount for your RX of choice. If you zip two ties to that spar you can angle them for horizontal (out the back) and vertical (out the top) polarization. This should help prevent against an unforgiving failsafe at the start of your greatest dive yet. 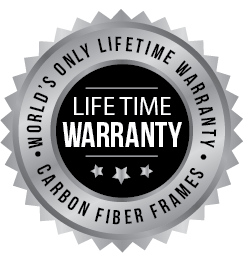 In the unfortunate instance that you meet the ground at a high rate of speed (and breakage does occur), Armattan is offering a full bumper-to-bumper warranty for the Chameleon frame. Included in the list price is a warranty that covers all of the pieces (both Carbon Fiber AND Aluminum) for that added peace of mind. Important note: The Suki FPV Edition metal parts, if damaged, will be replaced with a different color alumi. It is a limited edition and only 50 frames will be made this color.